Julian Omidi is a cofounder of the charity No More Poverty with his brother Dr. Michael Omidi. In this article, Julian Omidi discusses the plight of the elderly and disabled public housing tenants who still have no access to electricity, water or gas, even more than a month after the storm. New York City public housing is still suffering from lack of service more than one month after Hurricane Sandy made landfall. 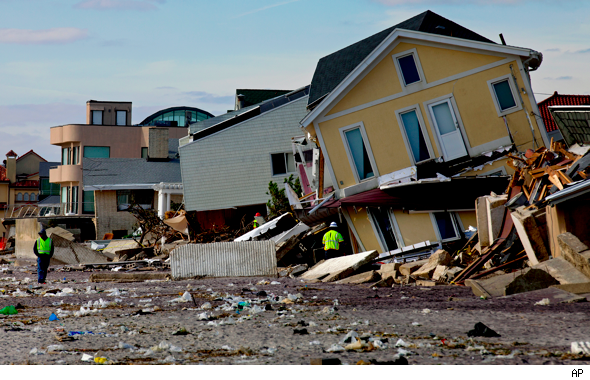 The suffering is felt most acutely by residents in the more remote areas of the Rockaways, Red Hook, and Coney Island. 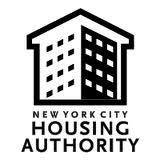 New York’s public housing authority is reporting that, while there were mandatory evacuations issued prior to the “Super Storm,” these were not heeded in many of the public housing units, since many of the older and infirm residents felt relatively secure. However, it was not anticipated by these residents that the heat, electricity, water and gas would take so long to be restored. Many disabled residents are trapped at the top of their public housing towers due to power outages that rendered the elevator systems unusable. Some chronically ill residents are rationing their medications because they cannot access or afford to get new supplies. Carbon monoxide poisonings are rampant from tenants that are using their ovens and burners for heat. The Federal Emergency Management Agency (FEMA) began sending representatives to public housing complexes to hand out vouchers and check on the residents, many of whom hadn’t been out of their buildings in weeks. Because the requests for federal aid were significantly lower than what was anticipated, FEMA planners were dispatched to find out why. It was because the tenants couldn’t contact the offices. Extra food stamps that were issued to people whose food was spoiled by the storm and lack of refrigeration were never redeemed, likely because the people who received them couldn’t reach grocery stores. The city of New York didn’t even have a tally of how many public housing residents were trapped in their apartments. Moreover, there wasn’t a number of how many of those residents were in direct peril from health complications or lack of food and water. Even as mayor Bloomberg gave press conferences and issued statements that declared that everyone, or almost everyone, in New York City Public Housing would have power and services restored, it became apparent how many people were still in dire straits. Volunteers reported finding diabetic tenants without insulin and wheelchair-bound people trapped at the top of stairwells. Although the immediate aid response after the hurricane hit was generally believed to be outstanding, many of the people in these housing complexes are still waiting for answers as to why, when much of the city’s power has been restored, they are still without heat and reliable electricity. Fortunately for many of the public housing residents, private charities and organizations seemed to be able to intervene more effectively than their public counterparts. Medical teams organized and went looking for trapped residents and ice and batteries were distributed to people with no power. Public officials began taking their cues from the efforts of the volunteers, and started to organize hospitals and assistance stations based upon the logs and reports of the private volunteers. With the help of private charities, federal and city officials are beginning make the exhaustive search through the public housing towers and giving supplies and assistance to those who are still trapped inside. Now that city officials have a slightly better grasp of the enormity of the situation, it seems hopeful that everyone who is still suffering from the effects of the storm will receive aid.